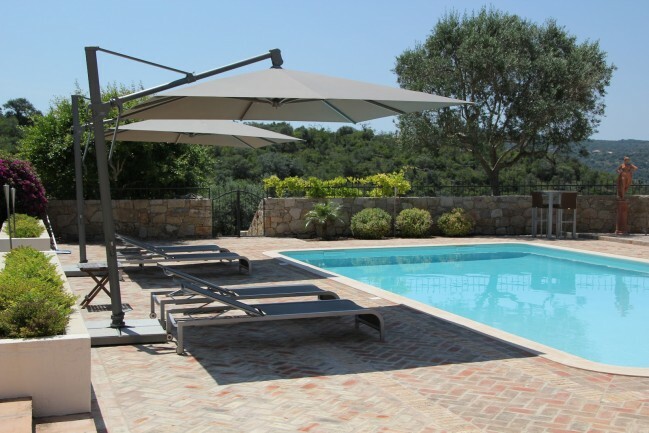 Sombrano made luxury parasol 3m x 3m square. 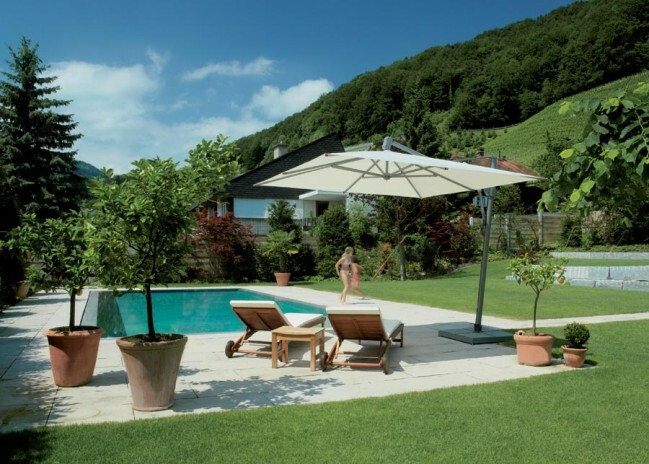 The parasol rotates and can be angled to offer many angles of shade from the sun. 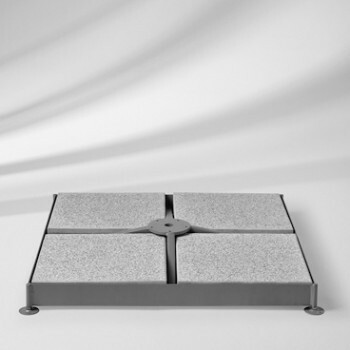 Four solid granite stone weights are used to hold the parasol in place, with a total base weight of 180kg. Parasol can be wound up and down easily and comes with a protective cover. 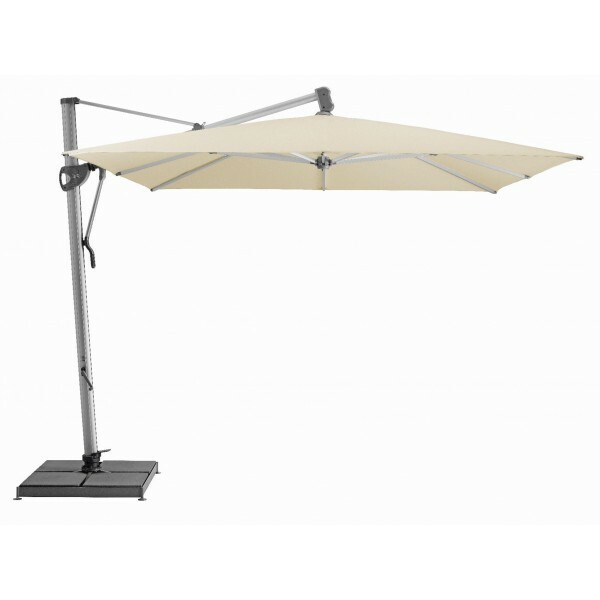 Designed with stainless steel struts that extend out from within each of the main aluminum parasol struts. This allows the fabric to be tort each time the parasol is opened, an uncommon quality of this type of parasol. 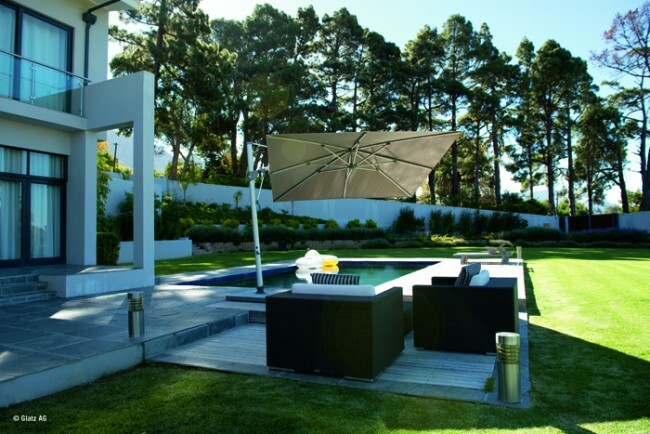 A beautifully manufactured cantilever parasol, built to last. A display model is available to view in our showroom located in Brentwood, Essex.